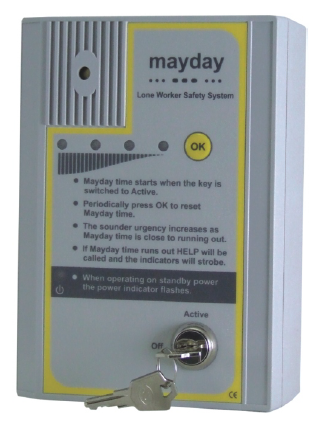 The MAYDAY is a lone worker safety system that is designed to raise an alarm call if a lone worker becomes incapacitated making it invaluable to management and providing re-assurance to lone workers. 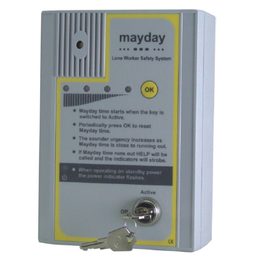 Once the Mayday is armed, the primary countdown timer (20-60 minutes) is started and indication is given by the countdown LEDs. At the end of this primary period the secondary timer (2-10 minutes) starts and an audible warning is given to prompt the loneworker to cancel this by pressing the OK button. As the timer approaches time out, the indications become more urgent and if the lone worker fails to respond, the MayDay signals for assistance.